If you don’t use a facial oil then you need to start! I am skin care obsessed but had never used a facial oil, until my skin was going through an intense dehydration moment. 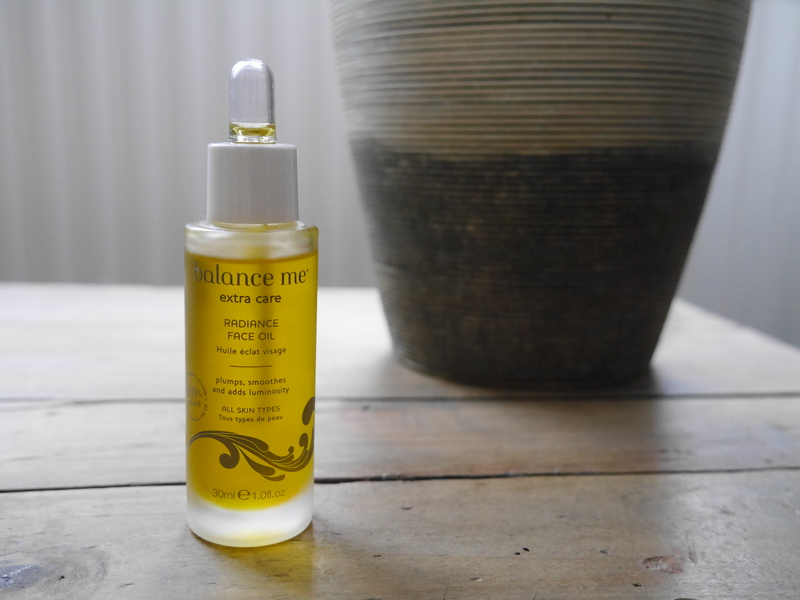 I was frantically scrolling through Google looking for answers and the words facial oil were constantly popping up and my skin hasn’t been the same since I picked up the Balance Me Radiance Face Oil. I use this both morning and evening after my moisturiser, just two drops massaged into my skin. Immediately my skin looks radiant, healthy and hydrated without leaving it looking greasy. I can apply make-up straight away with no issues and there is no residue left even when I use three drops as an overnight treatment. Its all natural ingredients, cruelty free and vegan, plus it smells amazing! If I don’t use this in my routine I can definitely tell; my skin doesn’t feel as hydrated and it doesn’t look as radiant.